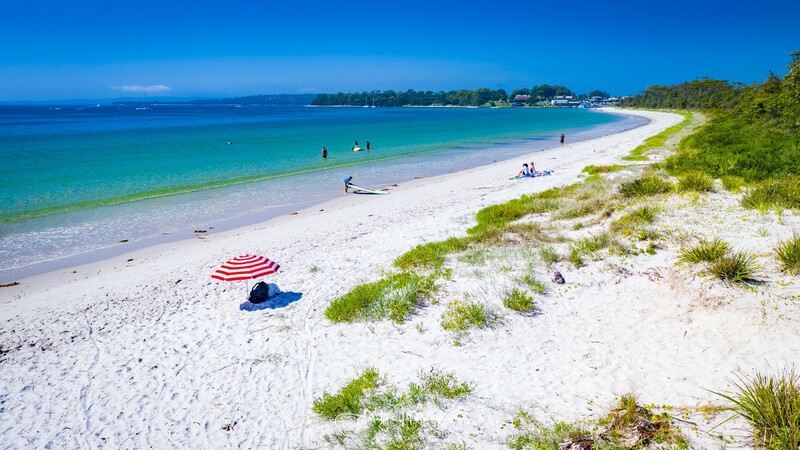 The forecast for this Xmas week here on the south coast is bloody fantastic. 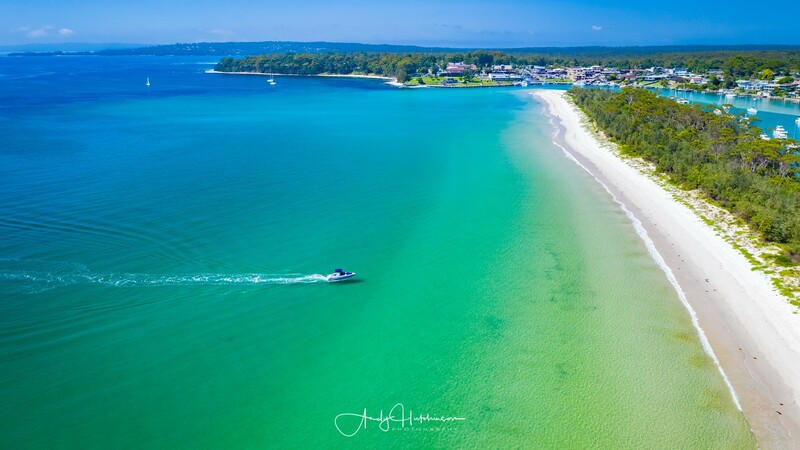 This will obviously please the tens of thousands of tourists, currently in their cars, SUVs stuffed to the roof with bags, eskies, bikes and tents, crawling their way south from Sydney and east from Canberra to the tourist parks, B&Bs, hotels, motels and luxury coastal accommodation of these fine shores. 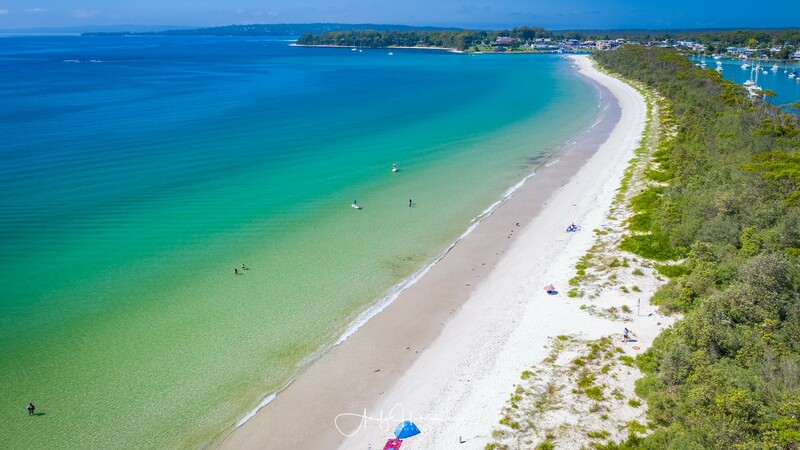 But they ain’t here yet, so we headed to Jervis Bay to enjoy one last quiet day, when it’s perfectly feasible to park your car within less than 5km of your target beach. 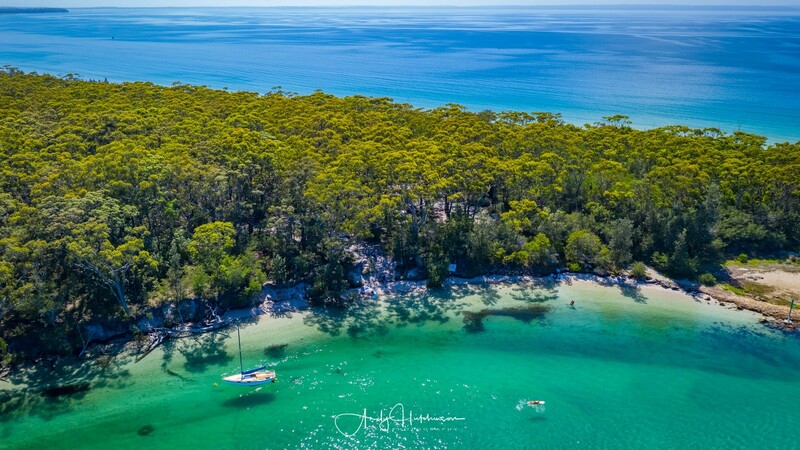 Catherine fancied taking her stand-up paddle board out, so I suggested lovely sleepy Myola. 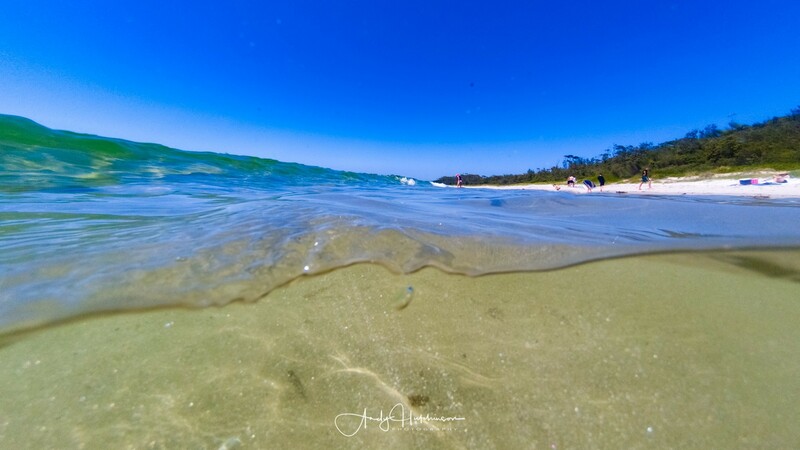 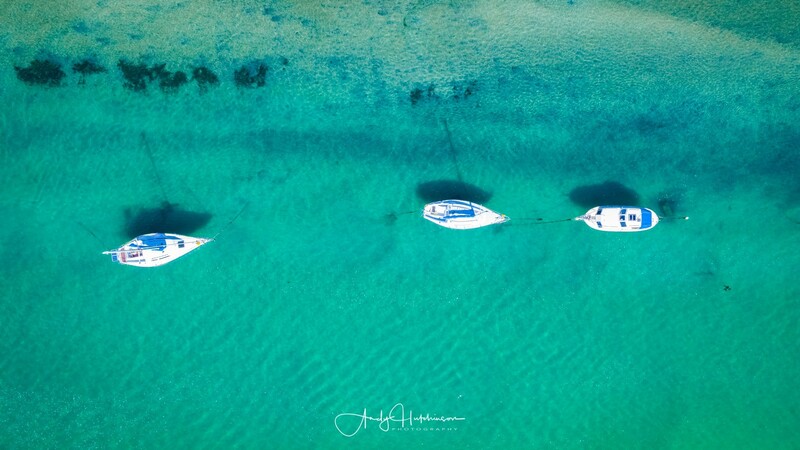 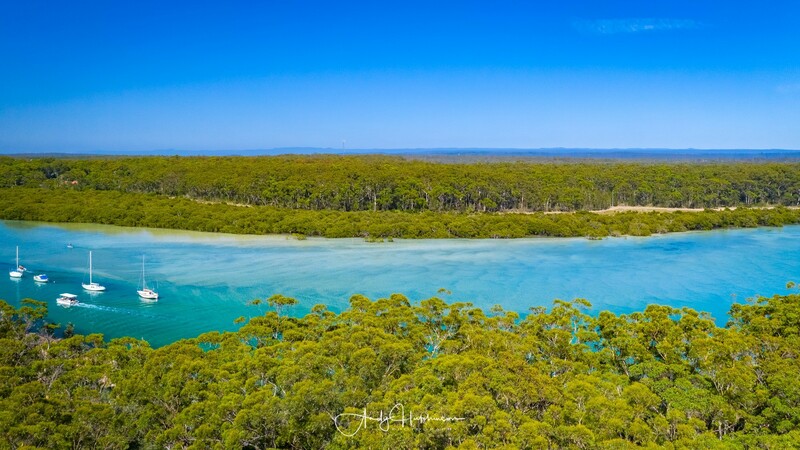 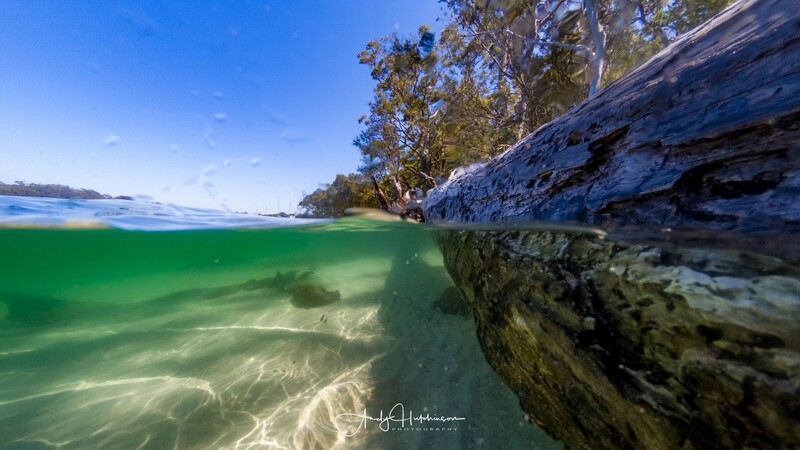 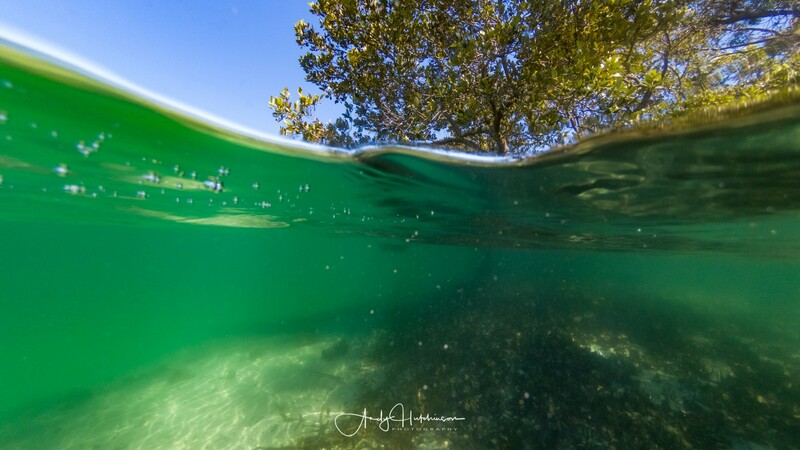 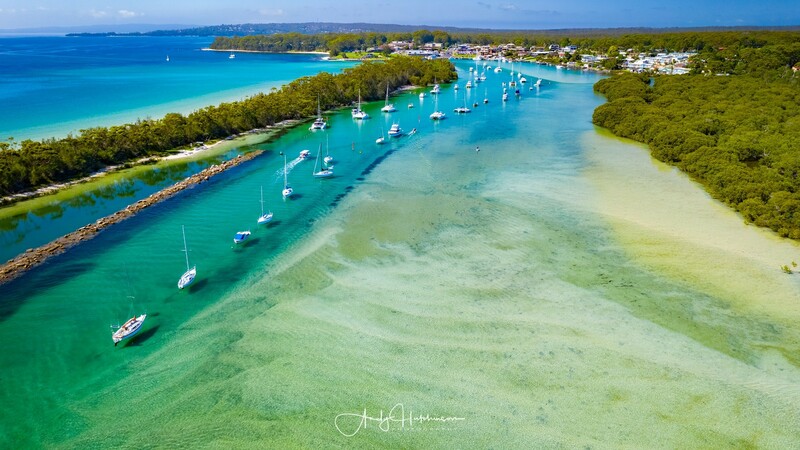 This amazing spot is situated on the southern edge of Callala Beach on the bay side and Currumbene Creek on the land side and, since there are no bridges or access roads from the south – it’s always way quieter than Huskisson. 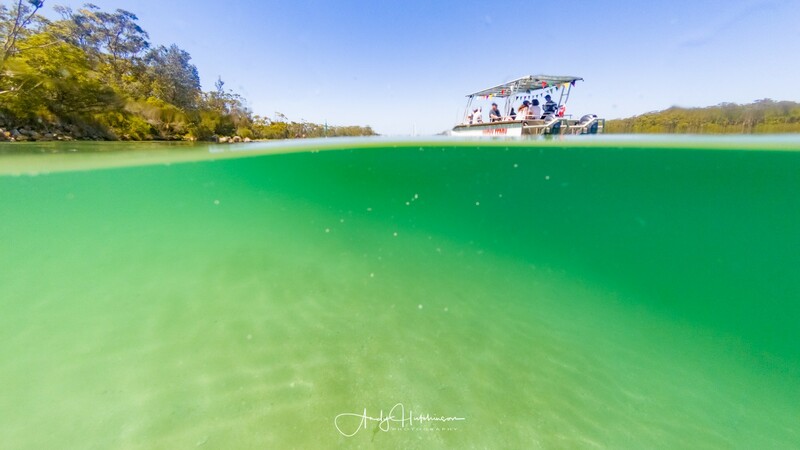 We had a grand old time, swimming in the bay and then in the creek and I took some photos with my Mavic 2 Pro and my GoPro Hero 5 Black and they look like this. 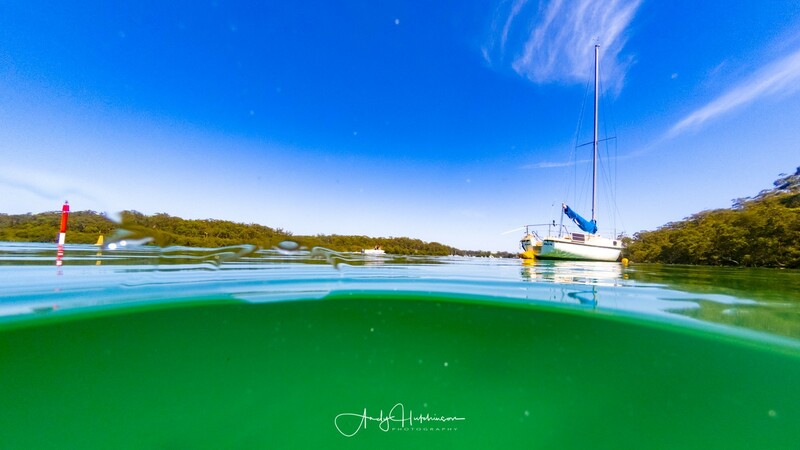 Myola is a seriously sleepy little holiday village on the northern side of Currumbene Creek. 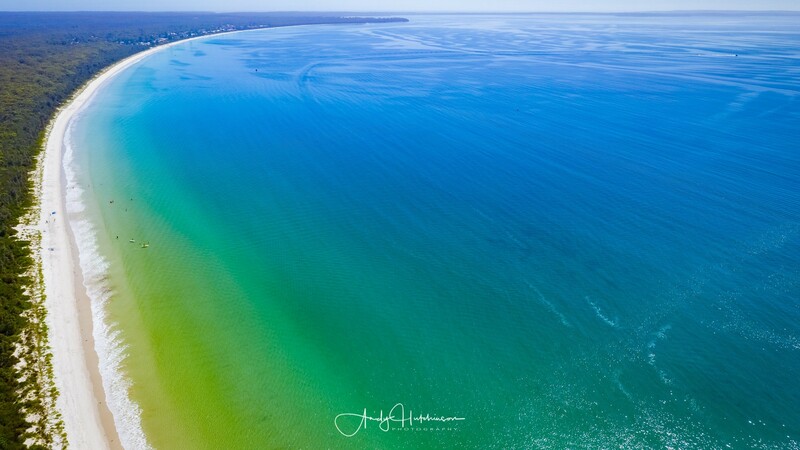 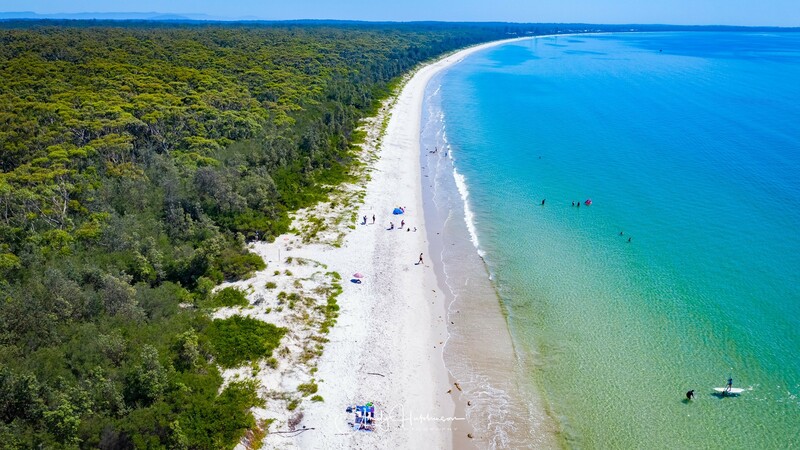 It’s within spitting distance of Huskisson but the only way to drive there is through Callala Beach.